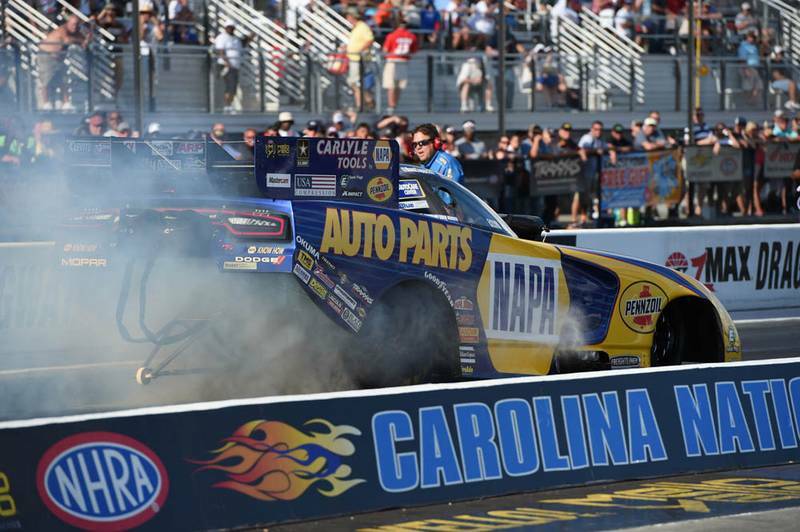 CONCORD, N.C. (Sept. 18, 2016) – NAPA AUTO PARTS Funny Car driver Ron Capps and crew chief Rahn Tobler have preached the importance of points earned during qualifying. They’re called “little points” and they believe those will play a big factor in determining who ends the year No. 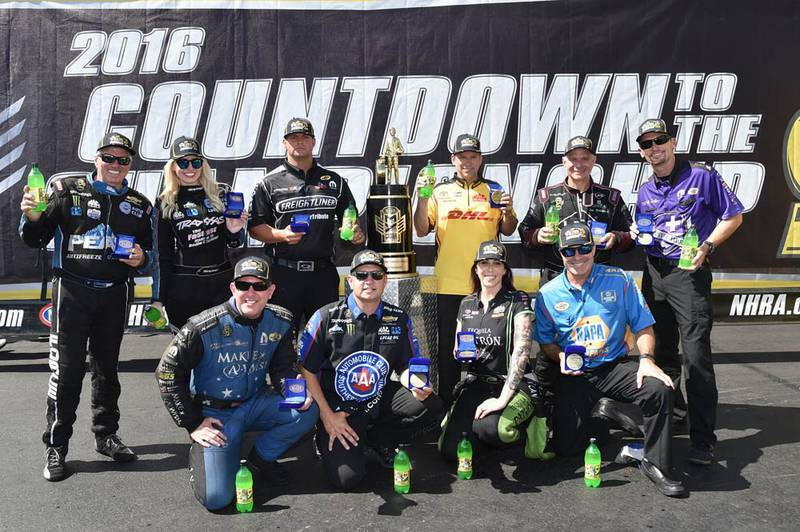 1 in the NHRA Countdown to the Championship playoff. 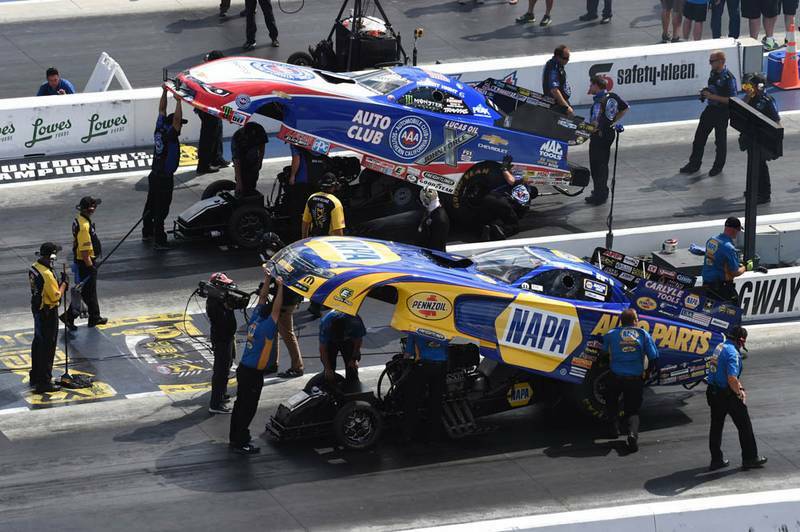 Their philosophy proved prophetic this weekend in the NHRA Carolina Nationals near Charlotte during the first of six playoff races in the Mello Yello Drag Racing Series. 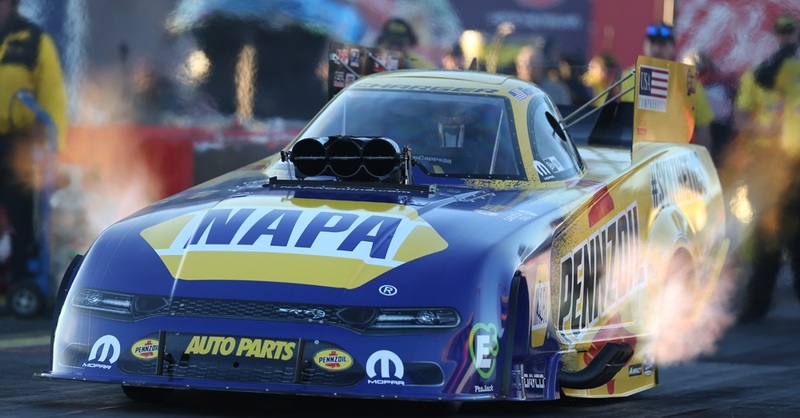 Capps earned seven of a possible 12 qualifying points when he was second quickest twice and the best once in four sessions. Only the top three are awarded points from 3 for the best to 1 for third quickest. He added five more over his closest challenger, Del Worsham, by qualifying No. 2 while Worsham was 12th. 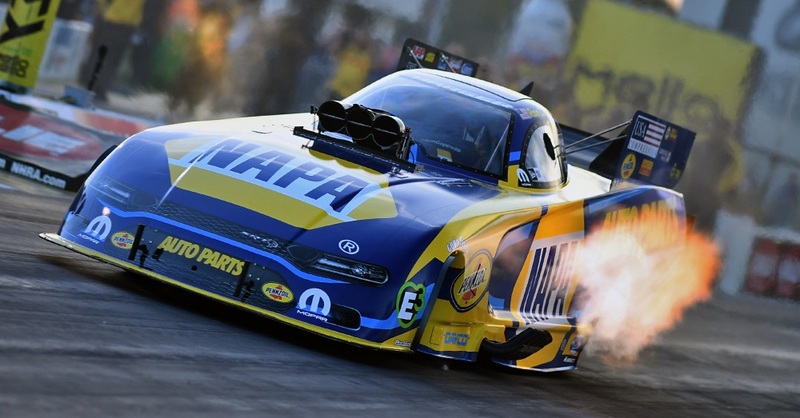 Despite losing in the semifinals Sunday, Capps was able to maintain the top spot in championship points and extend his lead from 30 to 42 over Worsham, the reigning world champ. 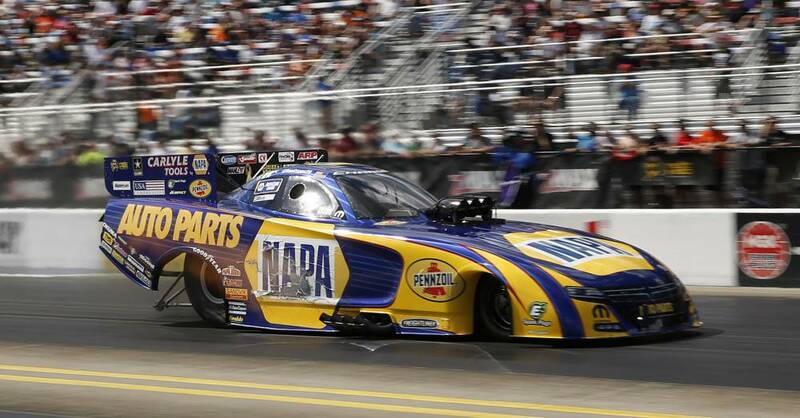 “Pretty good weekend,” Capps said. “The intensity Sunday morning with all the drivers was so evident. “Truth be told, it wasn’t a bad points weekend. 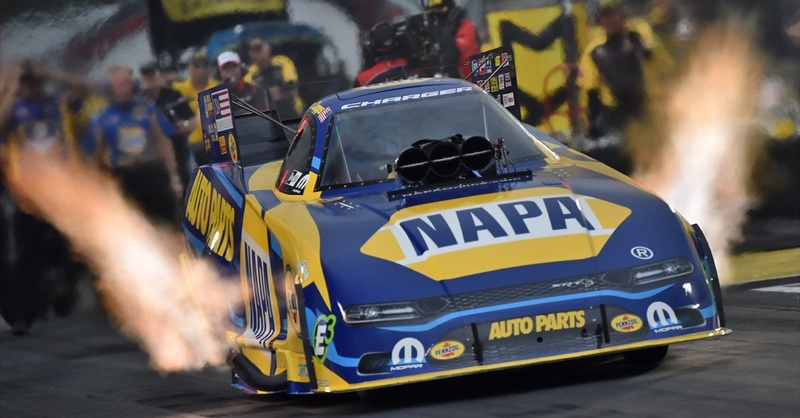 “Some fans hate this Countdown, and believe me, if there is somebody who should dislike it, it would be our NAPA team this year because when they reset the points before this weekend it erased more than 200 points from our lead. “But I have to tell you, it has really turned these last six Countdown races into a fun time. 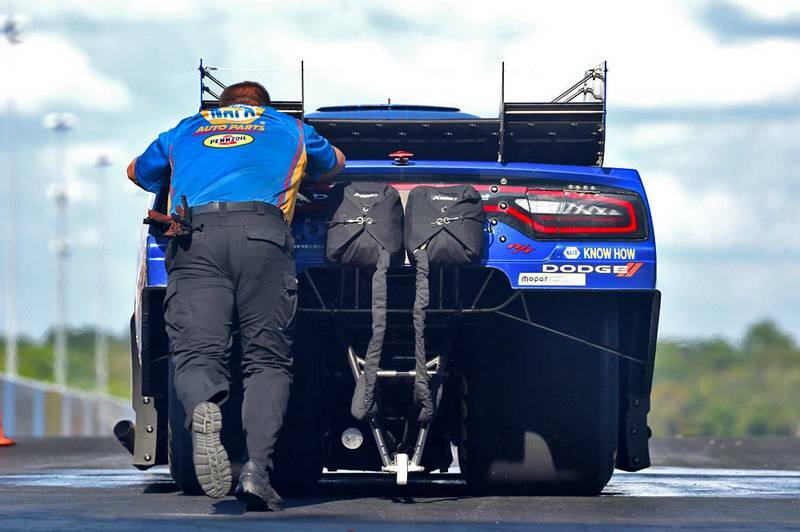 I’m excited with the car that we have with Tobler, and you know, if you would have told me this morning that we would do what we did today and go to the semis, we probably would have been disappointed. 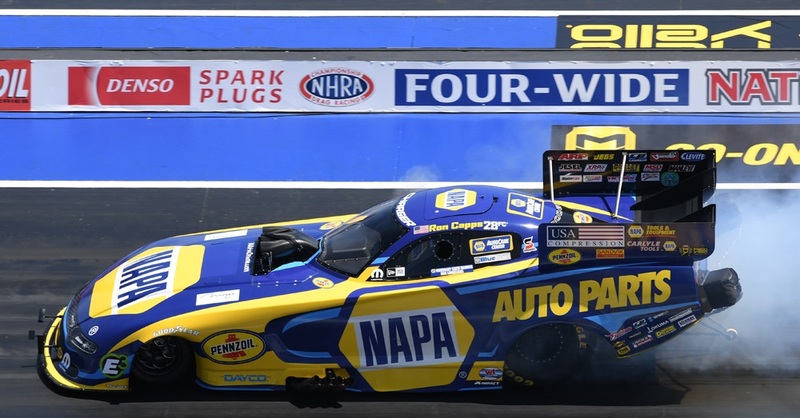 Capps, who lost to eventual event titlist John Force in the semifinals, will join the Mello Yello tour Friday at Gateway Motorsports Park in St. Louis for the second of six rounds in the Countdown playoff.